In June 2016, Airbus launched a self-piloting aircraft that was assembled by using 3D printing (or ‘additive layer manufacturing’ as it is also known). Called Testing High-tech Objectives in Reality (THOR), Airbus is using the launch a testbed for future aircraft technology from 3D-printed structural parts to be applied to aerodynamic studies and artificial intelligence. The 21kg THOR prototype is driven by two propellers powered by 1.5kW electric motors, and 90% of its structural components are printed from plastic polyamide powder. Compared with traditional manufacturing methods, 3D printing considerably reduced the development time to fabricate THOR from an existing design. It took around seven weeks to print the 60 structural segments, then a week for assembly and three more days to calibrate the electrical systems for flight-readiness. THOR was first displayed at the 2015 ILA Berlin Air Show and a maiden flight followed in November. Airbus has since turned its attention to capturing basic sensor data, such as altitude, speed and acceleration in a turn. THOR 2 will house interchangeable wings, including a honeycomb wing structure, a metallic aluminium wing, and a flexible wing made from carbon-fibre reinforced plastics. The ideal is for a THOR aircraft to land completely on its own, by identifying obstacles on a runway and determining whether it is safe to touch down without support from any ground infrastructure. 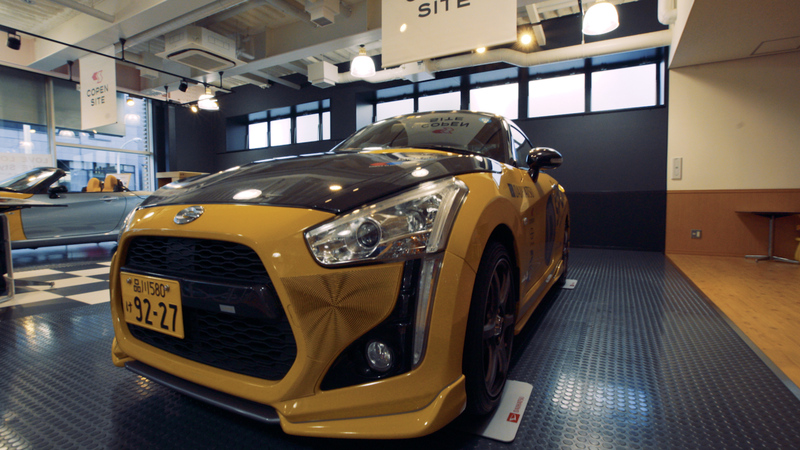 Also in June 2016, Japanese automaker Daihatsu announced that it was collaborating with local designers to offer car design customisation by using 3D printing. 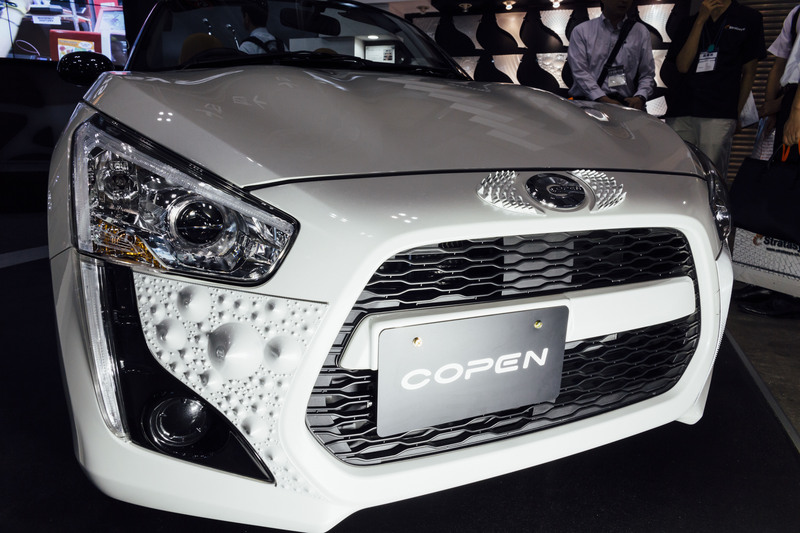 By partnering with several designers, the company has developed 15 automotive exterior ‘Effect Skins’ for its Copen two-door coupe convertible. Effect Skins are intricate geometric and organic patterns in 10 different colours that are 3D printed using Stratasys Fortus 3D printers. Customers can adjust the parameters of the designs and the skins may be ordered for front and rear bumpers and wings. The skins are made from ASA thermoplastic, which is durable, UV resistant and aesthetic. Structural material integrity has always been a major question mark when it comes to metal 3D printing. The crystalline structure of something machined from bulk metal might not be so easily replicated with 3D printing. GE’s new jet engine, Leap, demonstrates extensive use of 3D printed metal parts, freeing designers to build components without the limitations imposed by traditional casting and milling techniques. This allows for fewer parts with less need for welding and joining, as well as parts with geometries that were previously impossible. An example is the GE Jet fuel nozzle. Since 2003, GE Aviation has tested engine components manufactured by an additive process called Direct Metal Laser Melting, where a solid metal part is grown upwards from a precision 200W laser. The old nozzle was made of many parts that required 25 welds, each of which was a potential weak point, and were affected by coking, an accumulation of carbon deposits. Jet engine fuel nozzles spray fuel at temperatures as high as 3,000°. Over time, coking affects fuel spraying, which deteriorate the engine’s efficiency and durability. 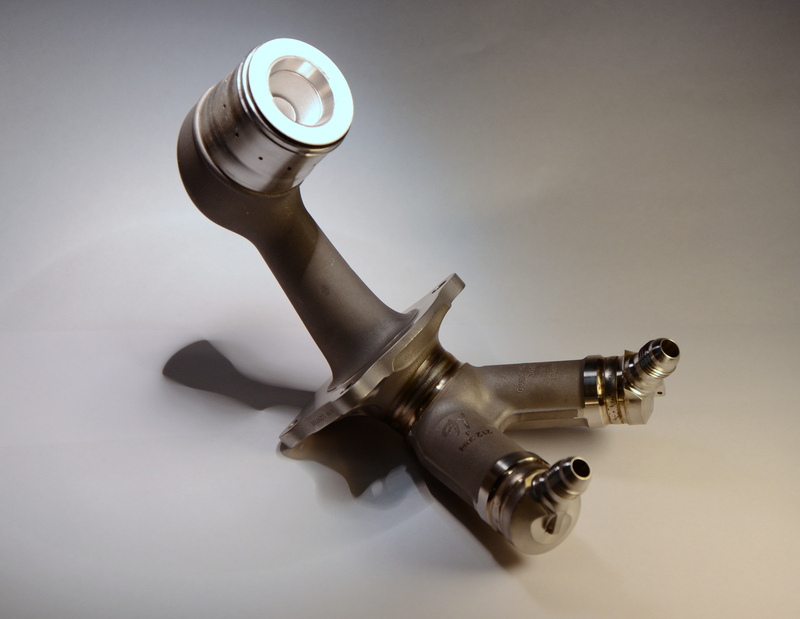 GE’s additively manufactured fuel nozzle for the Leap engine is grown with internal support ligaments and cooling pathways to eliminate fuel coking, making the part up to five times more durable as its machined equivalent. One single piece has replaced what was once made up of 18 parts. The new nozzle has only five welds, reducing the potential fault/weakness points. The designers added small built-in cooling tubes inside to prevent coking and minimise material using strategically placed supports. The fuel nozzle is 25% lighter, and up to five times more durable. Fuel efficiency has improved 15% and emissions drastically reduced. Every Leap engine will have 19 such nozzles. Multiple components that were traditionally brazed together can now be made as one single complex unit. By 2020, GE Aviation aims to manufacture more than 100,000 additive parts and plans to invest over US$3.5 billion in new equipment over a five-year period to produce advanced components such as additively manufactured turbine blades. Apart from top-end 3D printers and desktop consumer products at the low end, there seems to be little in between for professional 3D printing on a smaller scale with sufficient accuracy and repeatability, but there are niche applications where such mid-range can help. In the field of orthodontics for example, 3D Printing enabled Italian orthodontic laboratory NL Ortodonzia to increase production by 25%. 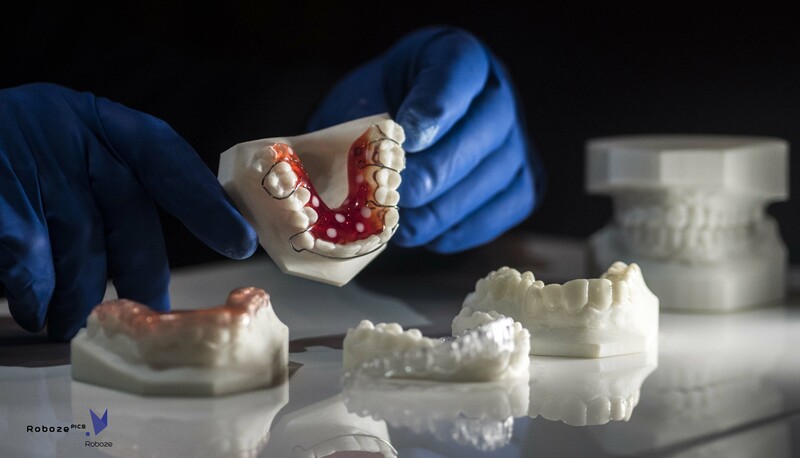 “Abandoning traditional methods was a very difficult undertaking, so we wanted a high precision 3D printing solution that was both affordable and easy to use,” says Nunzio Loizzo of NL Ortodonzia. “My first choice, as is usual in my industry, had initially shifted towards stereolithography or SLA technology, but that gave me more worries than benefits. A piece printed on a Roboze One 3D printer was immediately functional whereas with my first SLA 3D printer I had to post-treat the piece with liquid substances, most of them toxic, while wearing uncomfortable safety equipment. Additionally, after waiting for the piece to dry, I had to harden it in an oven. All this took me an extra hour of work, while with the Roboze part all I have to do is remove the piece from the plate,” he explains. “Today I can exploit the night-time hours and weekends for production. Even during laboratory closing hours, I can be sure that a reliable partner is working for me. The following morning I find all the completed models ready to be delivered in one day. All this with a precision never seen on an SLA machine or on fused filament fabrication (FFF) or Fused Deposition Modelling (FDM) machines." 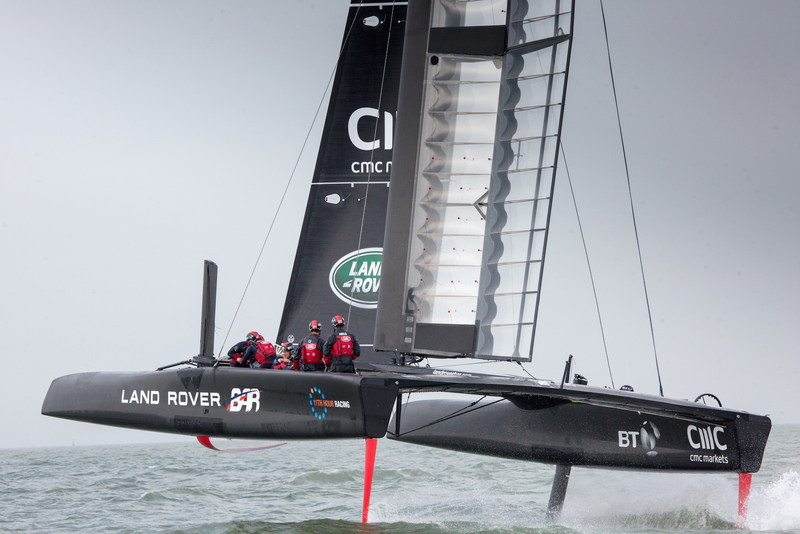 In other news from this sector, Renishaw has brought 3D printing expertise to Land Rover’s BAR Technical Innovation Group (TIG) in the quest to bring the America’s Cup home to the UK. The company will contribute its expertise in metal 3D printing and position feedback encoding. Ben Ainslie, winner of four Olympic gold sailing medals, is the team principal and skipper. The goal is to find advanced technologies and develop them to give the team a competitive edge. The TIG complements the existing Land Rover BAR design team and allows it to rapidly develop, test and prove these technologies. It has already engaged a number of key partners and suppliers from British industry, including Land Rover, BT and BAE Systems. It is governed by a steering group, chaired by PA Consulting’s Dr Phil White with the BAR team represented by Andy Claughton, Land Rover BAR’s CTO. Renishaw supplies products and services used in applications as diverse as jet engine and wind turbine manufacture, through to metal 3D printing, dentistry and brain surgery. Its contribution here will be through its expert metal additive manufacturing knowledge, helping to optimise the design and construction of critical, 3D printed metal parts of the team’s race boat. It is also contributing by providing ongoing expert advice on position encoder technology.